L-Jay Maasai first fell out with Bahati sometimes in 2015. 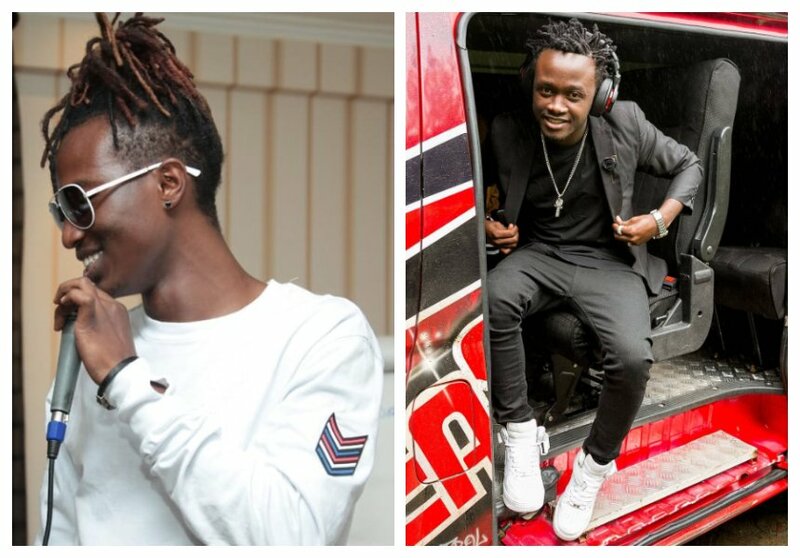 He called Bahati out for engaging in silly sideshows with Willy Paul instead of spreading the gospel. In February 2017, L-Jay was once gain involved in a public spat with Bahati. He clashed with Bahati over a controversial apology Bahati made on behalf of all gospel singer. Speaking to Biggest Kaka, L-Jay explains his beef with Bahati flared when the ‘Ndogo Ndogo’ hit maker apologize on behalf of gospel artists for dropping secular-ish songs. “Mahali nlirealize ni time fulani alikua anapologize to people on behalf of gospel artists. So me my question was, yeye ndo amekosea. Mimi personally sikufeel like nko na any issue sijakosea anything. Yeye ndo aliimba na secular artists, yeye ndo alifanya nini na nini…whatever he had done. So what right does he have to speak on behalf of all gospel artists?” L-Jay Maasai explained. In the controversial apology, Bahati put up a poster with secular artistes including Sautisol, Nyashinski and Collo as nominees of Groove awards’ Male Artistes Of The Year. Bahati’s post rattled several musicians, Sauti Sol’s Bien was quick to fire back saying Bahati shouldn’t drag names of all gospel artistes in his publicity stunts.